2013 Mustang Shelby GT500 Style Wheels Are Here! AmericanMuscle now carries the brand new 2013 Shelby GT500 wheels in both black and charcoal gray for all 2005-2014 Mustangs! Now you can style your Stang after the most powerful production Shelby yet – the 2013 GT500. 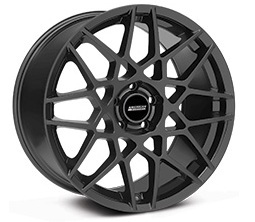 You have the choice of picking up your 2013 GT500 style wheels in either a black or charcoal gray finish. 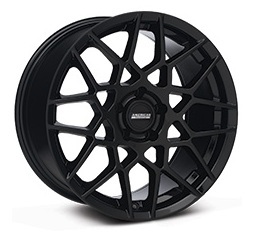 We also carry these new rims in both 18×9 and 18×10 sizing, giving you the option to go with a staggered setup. 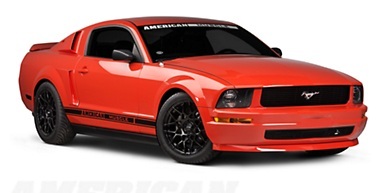 Much like the FR500 wheels on the 94-04 Mustangs, the 2013 GT500s look great on virtually every color Mustang. Also keep in mind, you’re staying true to the classic muscle car look while bringing hints of more modern styling. After all, who wouldn’t want their car to take on the identity of a 200MPH Shelby, capable of mid-10s with the Super Snake Package and powered by the a Ward’s Top 10 motor? Wheels looks so good. I read many reviews of 2013 Mustang Shelby GT500 Style Wheels. After considering all pros & cons, Chevy Camaro ZL1 comes in 7.1 pounds, making the Ford a better bang for your buck.